Robocar Poli is famous South Korean animated children's television series launched in 2011.The stories about Robocar Rescue Team on a beautiful island Broomstown became so popular that now kids watch them around the world including Canada. Teddy watched Robocar Poli episodes first time when travelling in Europe and he liked them so much. When he returned back to Toronto, he found the series on Treehouse TV saying that it is amazing to have Robocar Poli at home. There is always something happening in Broomstown. And fast police car, POLI, strong fire truck, ROY, clever and kind ambulance, AMBER, and witty helicopter HELLY are always ready to help. Four friends from the Robocar Rescue Team arrive to save habitats, friends and everyone who needs their help from danger! Their abilities to transform are amazing, from cars to robots, a spaceship or a submarine. Even more exciting to watch favorite series with Robocar Poli toys. There are a whole set of Robocar Poli toys are available in Canada for kids ages 3 and up and we had a chance to play with some of them. 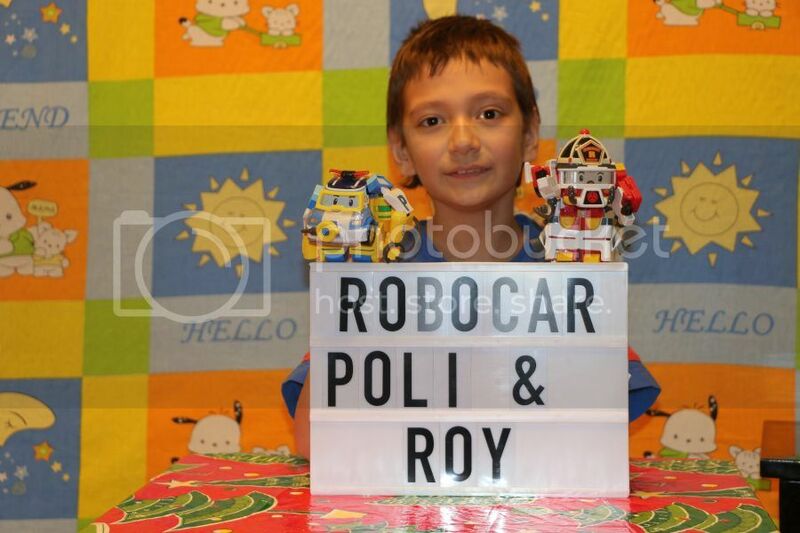 Teddy got Poli Action Pack and Roy Action Pack, representing two main characters Poli and Roy from the Robocar Poli series. POLI is a brave police car and the leader of Broomstown Rescure Team. He is responsible for the town’s traffic order and safety. Poli serves to protect the lives of citizens and their properties. Poli Action Pack includes Transforming Robot and Diving Accessories. Poli toy features three modes - Car Mode, Robot Mode and Diving Robot Mode. It is easy to transform Poli from car into robot and back, the parts are easily pulled and snapped together. ROY is the strongest amongst the Robocar Rescue Team members; he is Broomstown’s favorite firefighter. He is responsible for putting out any fires. Roy also rescues his friends from accidents. 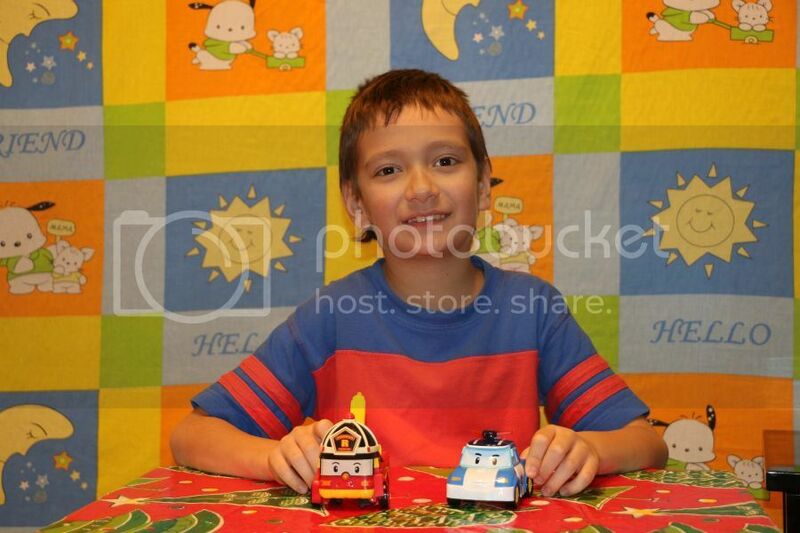 Roy Action Pack offers three modes – Car Mode as Firefighter Truck, Robot Mode and a Space Robot. It is amazing how Roy can transform from a car into a special spaceship or a Robot Hero, just change few parts and the toy is ready to play with. Extra accessories like a turbo engine on the back and special space mask help to turn Roy into an astronaut. These are really cool toys. 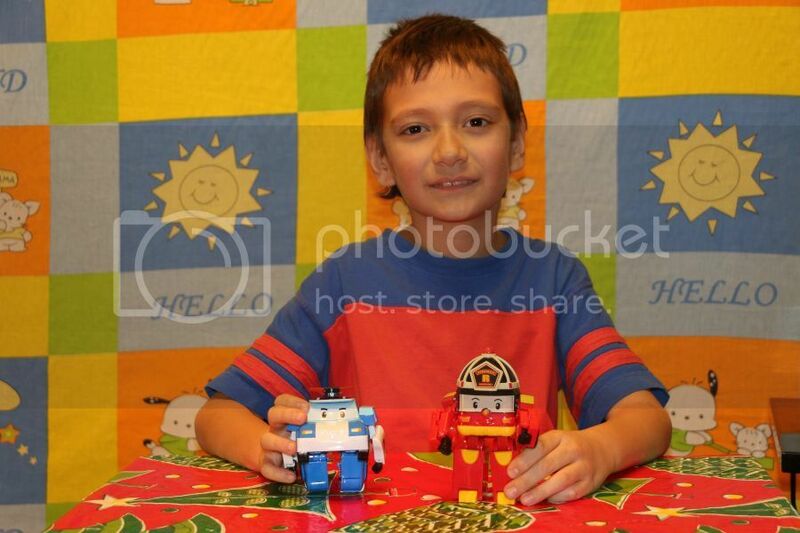 They are designed so well that even little kids can transform toys into different modes. The accessories which are included in the packs make the characters even more interesting to play and give kids opportunities to various imaginative plays. Like Poli and Roy are driving fast on the road, helping kids as robots or diving into the ocean, fly into the space to rescue someone. And they are cute too. 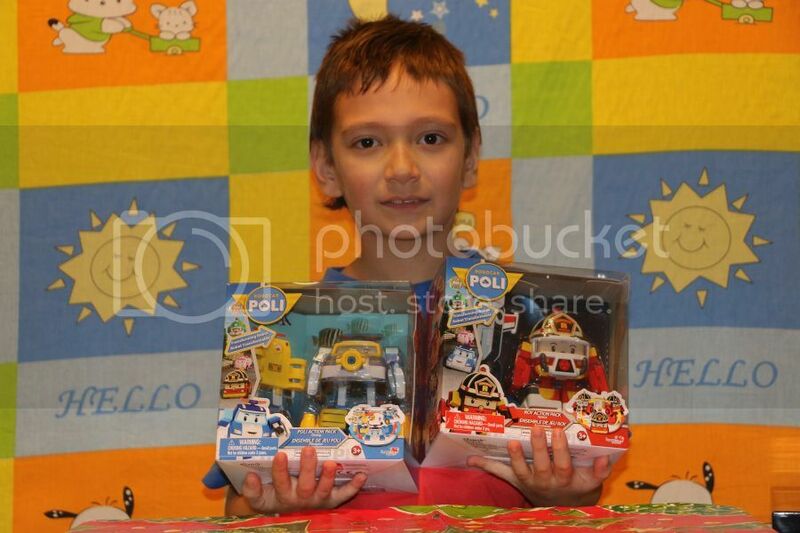 There is a whole line of Robocar Poli products available on Amazon, at ToysRUs and Walmart. The selection includes more characters of the Robocar Rescue Team, vehicles, playsets and Broomstown buildings, check them here. Robocar Poli series is now airing on Treehouse TV and Netflix in Canada.